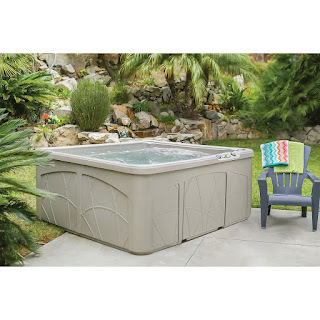 This weekend Sam's Club has this Lifesmart LS350DX 5-Person 28-Jet Plug &amp; Play Spa listed for $2359 (Retail $2999). -Standard curbside shipping delivery included via tractor-trailer. Product will be delivered to curb at the end of Member's driveway. -Delivery Agent will call to schedule a delivery appointment. Driver will offload your spa to the curb at the end of your driveway.